Nina Hall researches and teaches on planetary health, with the aim of catalysing cross-disciplinary projects to respond to complex issues around the sustainable and integrated management, treatment and use of water with social, environmental and economic considerations. She is a lead author on the Intergovernmental Panel on Climate Change's Assessment Report 6 (due in 2022). Her research examines the implementation of the United Nations' Sustainable Development Goals, and context-appropriate responses to water, sanitation and hygiene gaps. 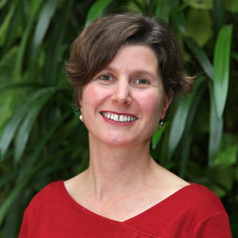 Nina brings an interdisciplinary background to the role, after working in environmental and social issues in research (at UQ, CSIRO and the Institute for Sustainable Futures) and non-government organisations (at the Climate Action Network Australia and the Mineral Policy Institute).